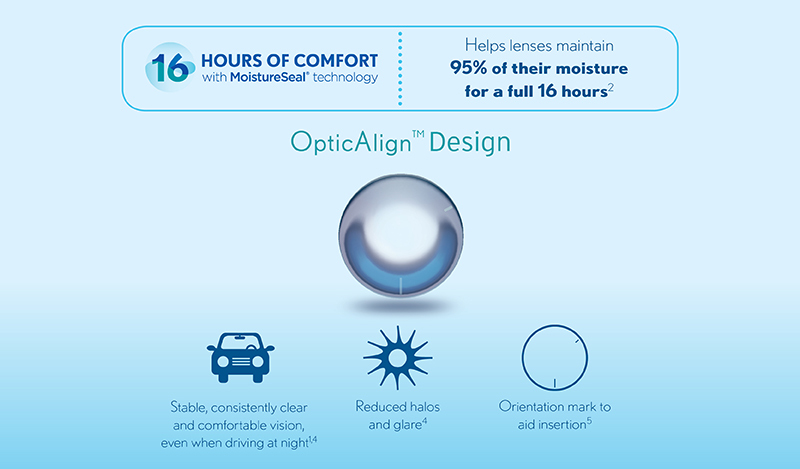 the MoistureSeal® Technology which maintains 95% of lens moisture for a full 16 hours2. 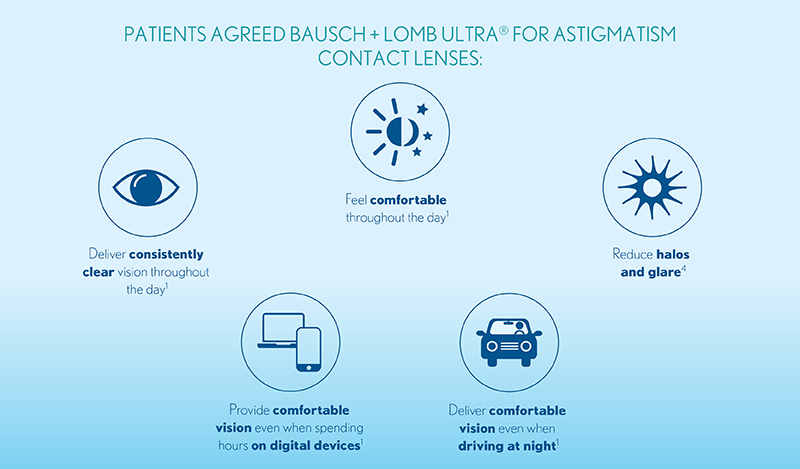 91% of wearers agree that ULTRA for Astigmatism provides all-day comfort3. 93% of users agree that ULTRA® for Astigmatism reduces halos and glare, even in low light3. 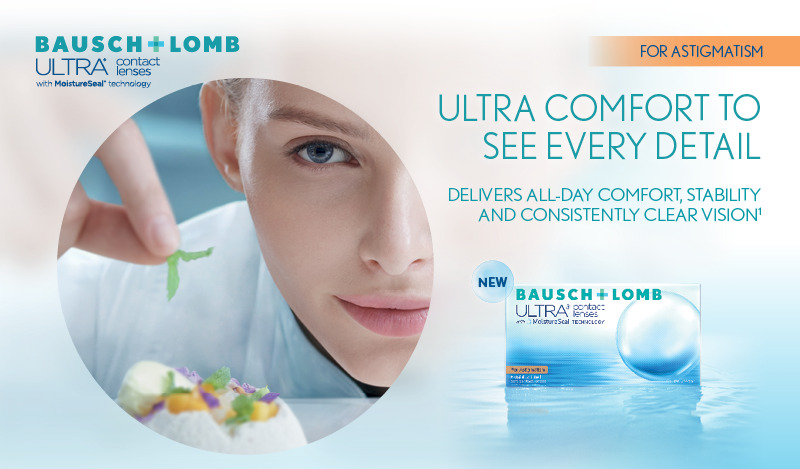 Ask your Eye Care Professional about ULTRA for Astigmatism today! Click here for ULTRA for Astigmatism Authorized Practioners! compared to Air Optix Aqua, Acuvue Oasys and Biofinity Lenses. ROC2-13-002. 2 May. Challenge Patient Survey. 30th August.